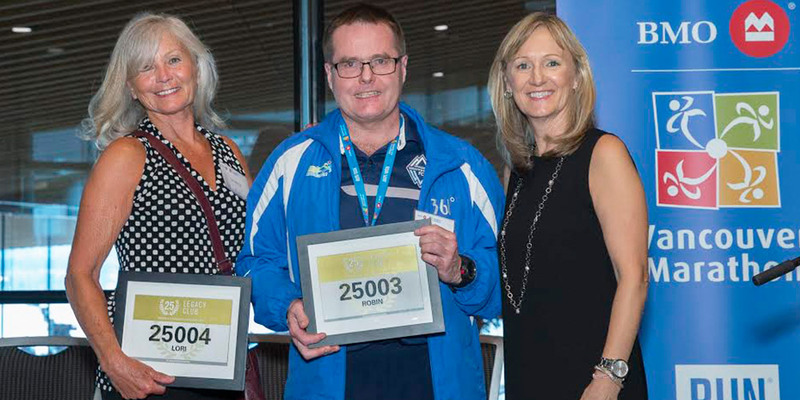 The Legacy Runners Club recognizes runners who have participated in and completed the Vancouver Marathon, Half Marathon or 8KM event multiple times since their inaugural dates in 1972, 1989 and 2008 respectively. By analyzing finisher records dating back to 1972, approximately 70 runners were identified as inaugural members of the Legacy Club in 2014. Going forward, entrants will continue to be tracked and runners will automatically become a member of the program once they qualify. Runners are also encouraged to come forward to identify themselves once they meet the criteria. Thank you and congratulations to so many participants who have shown their unbridled dedication towards the Vancouver Marathon as well as the sport of running!